My honey and I went to Epcot to celebrate New Year‘s on January 1st. We did not expect to have good food there. We did not even really expect to have halfway decent food there. Imagine our total surprise when we ended up having an outstanding meal. WHAT? 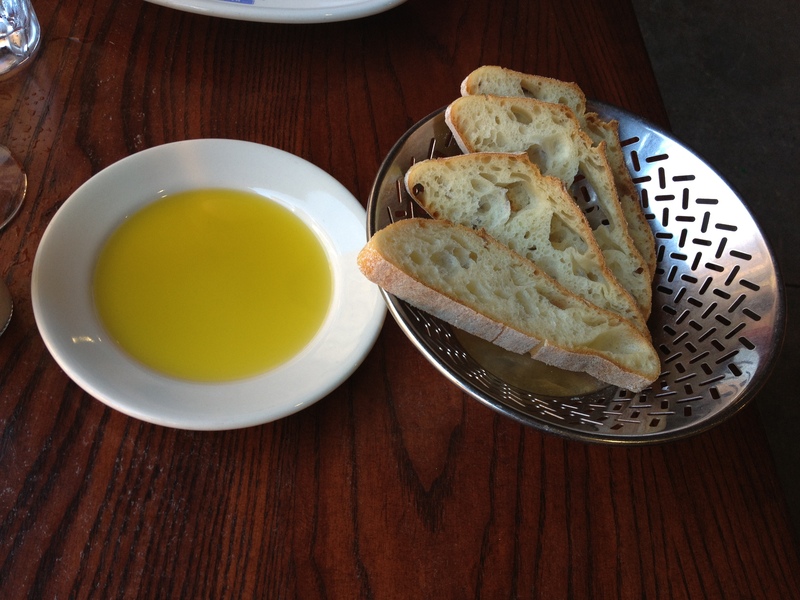 Amazing pizza, delicious bread, a great salad AND some of the best tiramisu I’ve ever had? WOW. I am still a bit in shock. 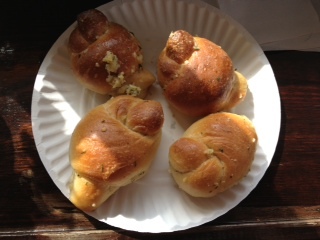 I had read reviews of Via Napoli– a lot of people rave about it. It’s the newest restaurant in the Epcot World Showcase and should have been impossible to get into. I read that the pizza in the take out stand in the Italy pavilion was absolutely NOT the same as what they serve in the restaurant and that it was worth the wait if possible to get a table. As luck would have it, we waited in line for maybe a total of 10 minutes before a lovely indoor/outdoor (right on the edge of the outdoor section) table for 2 opened up. A very friendly waiter straight from Italy came over to greet us and take our order. We joked with him about the irony of moving to the U.S. from Italy to work in a fake Italy. He explained that it was a great job where he had lots of friends who were also transplanted here from Italy to work there, and that he really loved being close to home in a sense, even though he was so far away. He also told us that he thought very highly of the food they served and that he felt it was quite authentic. After a glass of wine and some delicious fresh bread and excellent olive oil, we ordered a salad and a pizza with artichokes, truffle oil and fontina. 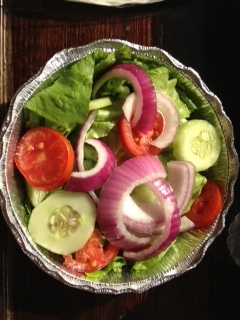 The salad was quite lovely with marinated mushrooms, green olives, plenty of fresh veggies and a balsamic dressing. The pizza was, dare I say, AMAZING. 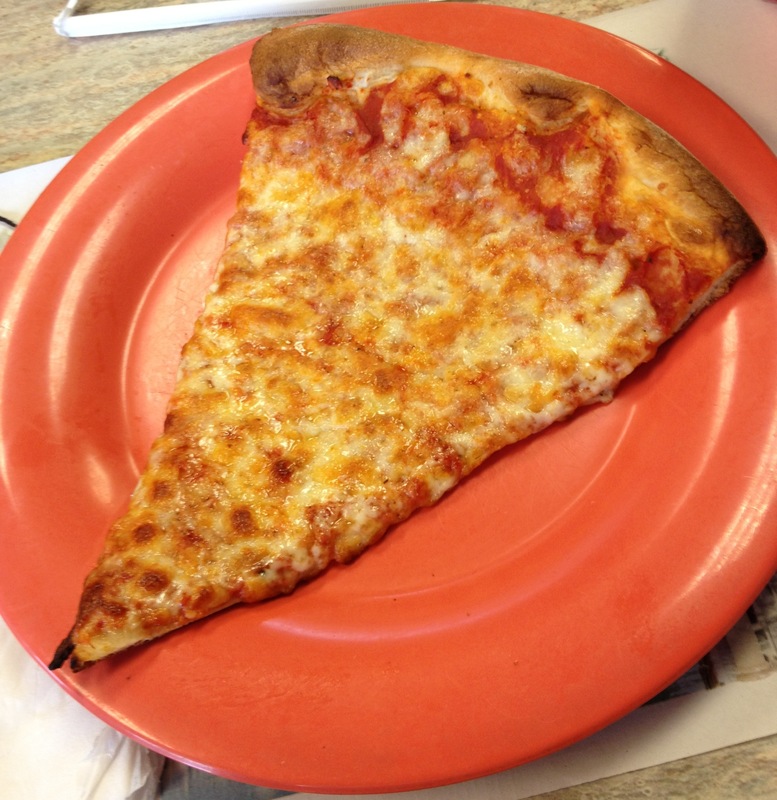 The crust was chewy, crisp and pretttttttty perfect and the toppings were perfectly proportioned. We polished it off so quickly and sort of regretted getting the tiny sized one even though it really was plenty for a meal along with the salad. 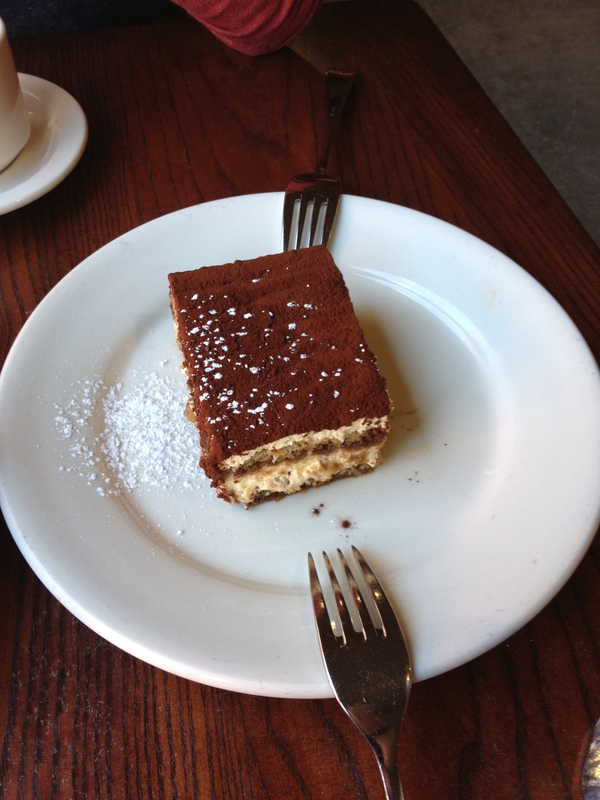 It also, as we came to realize, left enough room to share a wonderful tiramisu for dessert. 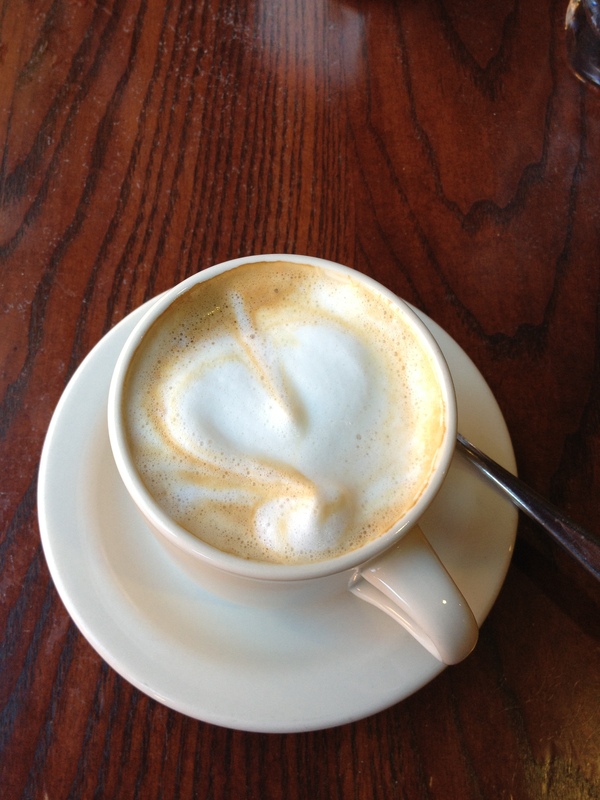 I also had a fantastic cappuccino, complete with a delightful heart of foam on top. The meal was not cheap, as really nothing at a Disney park is, or is expected to be. You are paying for the experience of it as much as for the food itself, but this time, I would actually say it really is worth every penny. I doubt I’ll be back at Epcot before I have a kid of my own to bring with me, but if YOU ever go, I would STRONGLY encourage you to pay a visit to Via Napoli. Total winner. 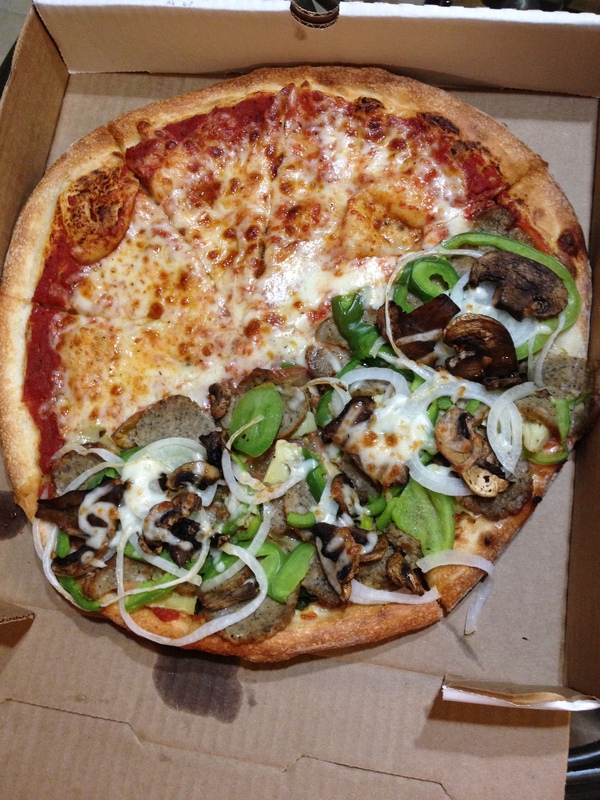 As a pizza loving NYer, I was a little hesitant to place an order for delivery with Pizza Mia tonight. It’s been rough finding a decent slice here so far, and I doubted that tonight’s meal would be any different than the other fails thus far. It was, however, pouring rain, 8:30pm, and my boyfriend and I had both just gotten home from work- too hungry and tired to think about cooking or going out. Having seen a post on Facebook a few nights ago about Pizza Mia and the fact that they deliver in this area, we decided we might as well give it a shot. We had ingredients to make salads to go along with our pie, so we went ahead and called in our order after trying to place it through their online ordering system which did not work properly. We ordered a small pie; half cheese/sauce and half veggie deluxe with meatballs. 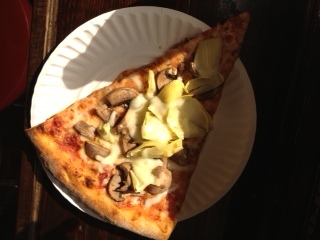 The veggie deluxe included onions, green peppers, artichokes, mushrooms, tomatoes and spinach. After printing out a $3 coupon from their website, the order came to around $15.00- quite reasonable in my opinion. 30 minutes later we heard a knock at the door and were pretty psyched that even in the torrential rain, the delivery time was that quick- and that the driver easily found our somewhat hard to find front door around the back of the building we live in. We gave him a $20 and sat down to eat. Though it wasn’t exactly hot anymore, it was still mostly warm and we were hungry enough that we didn’t really care. I took my first bite. WOW! What a totally pleasant surprise. This is not Florida pizza! This is actually pretty NY-y! How exciting. We will definitely be repeat customers. Thanks Pizza Mia! I met my friend Rachel here for dinner the other night and was impressed for a few reasons. Our waitress was friendly and attentive and went over the specials right away for us. We were give ice water, menus and time to make our choices. We decided to share a flatbread with fresh mozzarella, tomato, fresh basil and pesto and a ‘Chef Douglas’ favorite’ pizza with truffled arugula, domestic and portabella mushrooms and shaved parm. Both pies were delicious, made with super fresh ingredients and a crust that was a good balance of chewy and crisp. 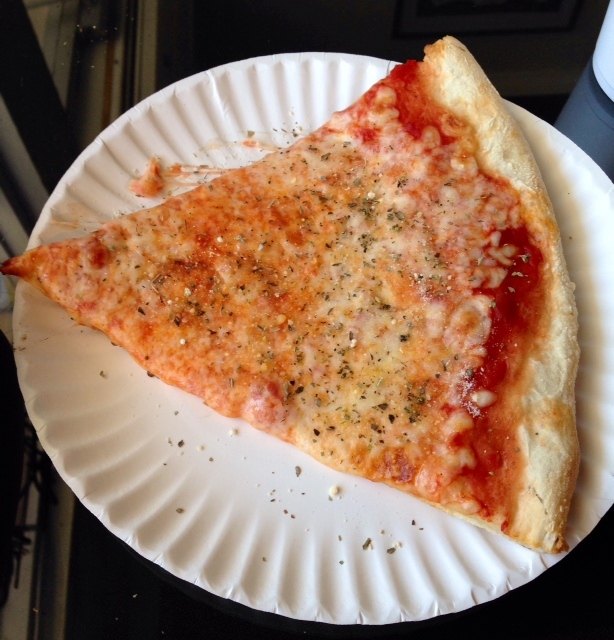 Now as a New Yorker, I am supposed to be very hard on out-of-NY pizza, but I can’t really compare this…it isn’t the fold-over style we NYers are bred to evaluate. This is more like artisan, thin-crust, brick over pizza- which is really a breed of it’s own, and for what it is, it is quite good. The price was super reasonable and the service was excellent, casual but professional and attentive. There was live music outside that was WAY better than average and I really enjoyed listening to familiar songs, great voices and talented musicians. The Main street location is very convenient and conducive to a pleasant evening stroll after dinner. I will definitely be going back!